The Vollrath 90222 Super Pan 3® half-size steam pan has a 4-quart capacity and 2.5-inch depth. Wide, flat edges make it easy to remove the pan from tables and transport it. The corners are designed to pour product, and their reinforced design enhances durability. This pan can be stacked with others, and jam-resistant lugs prevent it from getting stuck. 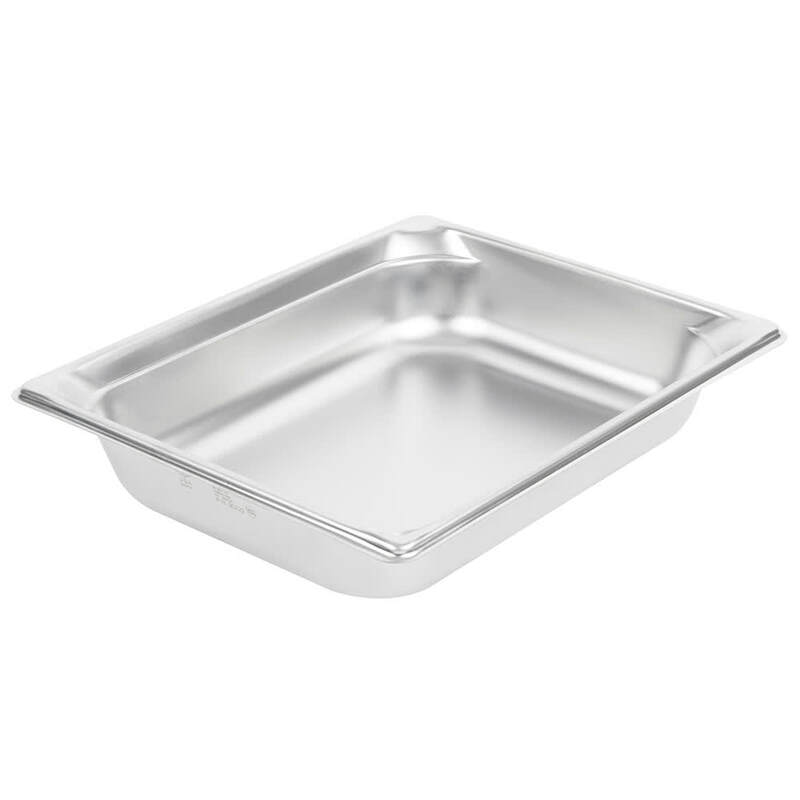 You can learn more about sizing these pans in the steam pan sizes article.